ArcSoft TotalMedia™ Extreme is a complete software solution for playing video, editing and authoring video and music discs and photo slide shows, with high definition multimedia content. ArcSoft TotalMedia™ Theatre — Enhance your movie watching experience with tons of cool features and options that you just can't get from a standard DVD player. Aurora Blu-ray Media Player is a Windows based multimedia player software which can play Blu-ray Disc, Blu-ray ISO files and other video formats. 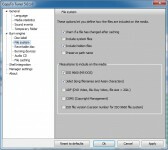 This program removes Blu-ray region code from Blu-ray rips on a hard disk drive to allow playback regardless of region setting of the player. Blu-ray to mkv converter. Supports multiple audio tracks & subtitles. BurnAware Free Edition gives you the ability to burn various media, including CDs, DVD, Blu-ray and even HD DVD, with an easy to use interface as well as powerful features for more advanced users. ChapterGrabber will extract chapter times from DVD, HD-DVD, and Blu-ray discs and combine them with chapter names from the internet. Clown_BD will enable you to extract (on the fly) the main movie and language streams of your choice, resulting in either transport streams (for Media Jukebox), an ISO image (for PowerDVD) or even a burned BD disk (for standalone players).